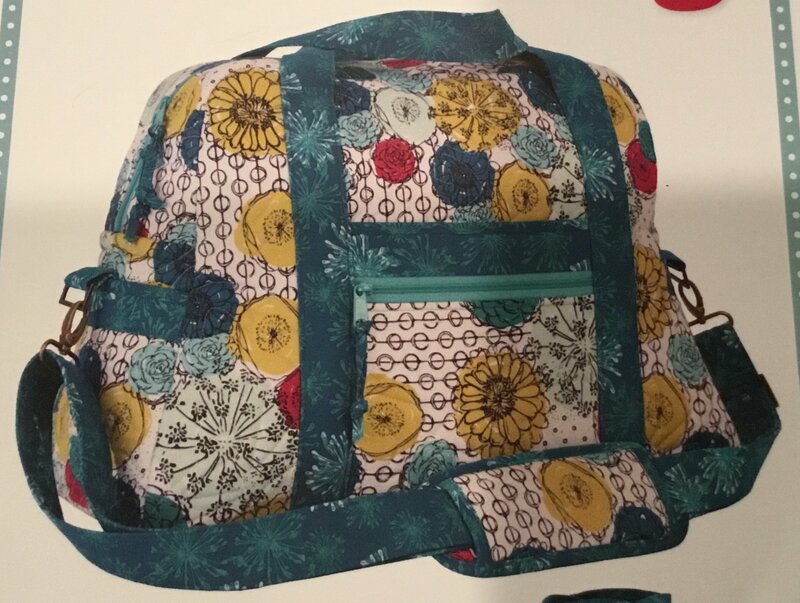 Learn the secrets of making bags that look like you bought them- not like you made them! This bag is carry-on compatible and will hold all of your travel essentials. There are zippered and slip pockets on the front, back and ends as well as a variety of pockets inside. The padded slip on strap makes carrying this bag very comfortable.